We know from EU statistics that older people constitute a group at risk of falling into long term unemployment; once unemployed, the risk of not finding a new job is higher for this cohort. The route of entrepreneurship or self-employment is highlighted by policy documents as a panacea for unemployment for all age groups. The literature maintains that older people are generally more capable of starting and running businesses than their younger counterparts. However, to embark on an entrepreneurial path, older people often need to acquire skills and training. Due to their age and former education, they may not have actively engaged in prior entrepreneurial learning. Financing and access to micro-finance was a particular problem. Older unemployed perceive the enterprise support and finance system as favouring younger, higher technology and growth oriented businesses. They would like to see more of a willingness to support those who create a job or additional income for themselves and/or one or two others. Self confidence in the ability to come up with a business idea and to turn that idea into a viable commercial or social enterprise was an issue. The key component of this self-confidence was the apparent lack of appreciation, relevance or value of their life experience and life skills that are transferrable to an entrepreneurial endeavour or a new job opportunity. Aligned with this, most, at this stage of life seemed hesitant to venture down a solitary entrepreneurial path. There is a general fear of the loss of the security of welfare benefits, which leads to risk avoidance behaviour and thus a barrier to entrepreneurship. Where borrowing or finance options are available, there is an unwillingness to take out a loan at a late stage in life due to the risk of debt. When it comes to business itself, there is a lack of desire to scale up or take on the responsibility of additional staff. They stated they have to be careful with their savings because they are also thinking about retirement, so it has to be understood that their options here are not the same as the options for younger counterparts. A frequently expressed concern throughout was access to the communication channels and information to start their own business. Much of the information regarding funding supports and other business supports are on an online website or portal and can be more difficult to access in person. Without the ability to access this online information, it is feared that they will be at a disadvantage from the outset. Knowledge of Incubator centres, finance, or other support services were not obvious to older unemployed and again there is a perception here that those who are comfortable navigating online sites, IT or Social Media have a competitive edge over them. So what can we do to address these barriers? Participants identified personal and interpersonal and networking skills, entrepreneurial skills, business skills, managing a business, book keeping and paperwork as areas where they would like to develop further. Technology and IT skills and knowing how to access funding were recurring themes throughout. The members of the older entrepreneur’s social network can either hinder or help the start-up process. Networking and acquiring the necessary social capital to start a business was problematic for those who switched to a different industry to their main career employment, and for those whose social capital had become obsolete due to long-term unemployment. However, a number of participants had plans to tap into social capital from earlier employment to gain support for starting a business in a particular sector. The benefits and potential of peer to peer support was evident from the focus groups where participants were open and willing to provide help and support to each other. Enabling this comradery through any training intervention would help create a sense of community to alleviate feelings of loneliness and isolation that was mentioned by some participants. Throughout the course of the study, a number of individuals expressed an interest in working with the younger generations in order to learn new technologies and new business practices in a practical way. This area of knowledge transfer is something that could benefit this project and similar projects going forward. ‘Reverse mentoring’ was also suggested, whereby younger entrepreneurs mentor older entrepreneurs. We all like to hear from people who have travelled the road ahead of us, and older unemployed are no different. There was a sense of excitement at a suggestion of meeting and hearing from entrepreneurs who started their businesses later in life. These encounters could act as a motivational tool for the participants, while also providing guidance, support and practical advice. The findings suggest a need for greater sensitivity by the enterprise support system, and the staff operating this system, to the needs of older enterprising people. In the context of the back to work enterprise supports offered through the Department of Social Protection, the role of the case officer is very important in identifying and supporting unemployed people with business ideas. In general the feedback on the supports was positive, but a lack of consistency in service delivery was noted. There may be a case for training, information sessions or mentoring for front line staff in terms of entrepreneurship support. Participants raised a concern in relation to the ‘after care’ aspect of the proposed training under this and other projects. On completion of entrepreneurship training programmes, they would like to build on what they have learned and also build on the relationships that they have established. They would like further interaction with the trainers, mentors, participants and support agencies. The progression routes from support programmes are not always clear or open to them. This research was carried out in Ireland for the MYBUSINESS project. 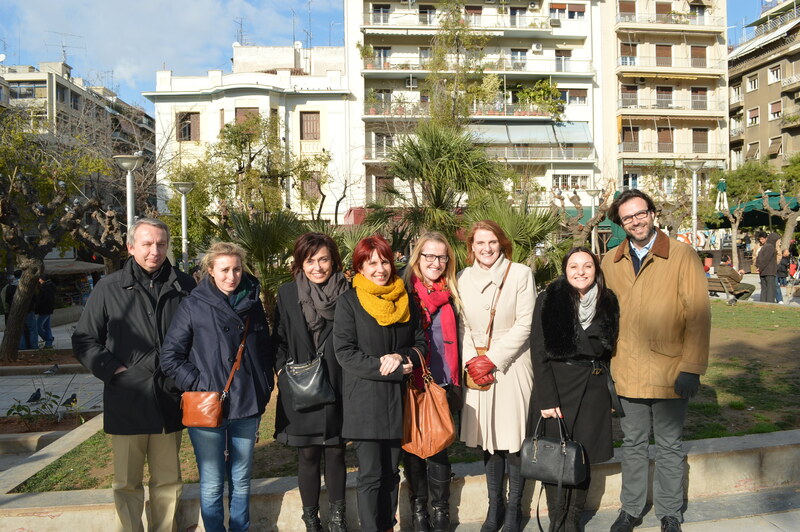 The project is financed by the European Commission under the Erasmus+ Programme and is implemented by a consortium of six partners from Romania, Ireland, Belgium, Greece, Spain, and Austria. Authors: Dr Breda Kenny & Isabel Rossiter are working on this project at the Hincks Centre for Entrepreneurship Excellence at Cork Institute of Technology, Ireland. This useful research helps us better understand how older workers can transition into older entrepreneurs. This blog is a forum for ECSB members to share current research in Entrepreneurship and Small Business. What are the barriers to teaching effectuation in the entrepreneurship classroom?